Dorothy Gale is back . . . and she's not the sweet little heroine of Oz anymore. She's power-hungry and vicious, and she leaves a trail of destruction beneath her spike-heeled, magical shoes. But behind the scenes, there's someone else pulling the strings. Someone who doesn't want fame or glory—just control. Glinda of the North brought Dorothy back to Oz for a reason. And, in this ebook exclusive, a young maid is about to discover that a witch who says she's Good might be the most dangerous kind of Wicked. 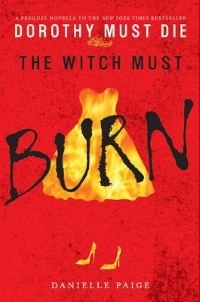 The Witch Must Burn, by debut author Danielle Paige, is a dark and compelling reimagining of a beloved classic and is perfect for fans of Cinder by Marissa Meyer, Beastly by Alex Flinn, and Wicked by Gregory Maguire.